This is an excellent book which is easy to read and written in layman’s terms. It helps you to understand what lupus is and how to begin managing the condition. It’s a very good start point for those who have been newly diagnosed and for their friends and families. “The Lupus Book – A Guide for Patients and Their Families.” by Daniel J Wallace M.D. This is a very informative guide and probably answers every question you could ever ask about lupus. It is a very useful reference book to have on the condition. Written by medical professionals, the latest 2013 edition (Fifth),has just been published in the USA and provides recent information, although it can get quite technical in places. Anyone trying to claim disability benefits may find Benefits and Work a very useful website. For further information about lupus, including an online lupus nurse, the website for St Thomas’ Lupus Trust is very helpful. St Thomas’ Hospital is home to the Louise Coote Lupus Unit which is the largest lupus unit in Europe. It provides a wide range of services for patients with lupus and other autoimmune connective tissue disorders and Anti-phospholipid (Hughes) Syndrome. They accept secondary referrals. The following companies offer insurance for people with pre-existing medical conditions and have been successfully used by people within our group. We don’t guarantee they will offer cover as this is usually assessed on a very individual basis. Sun lotion is available on prescription if you have lupus. 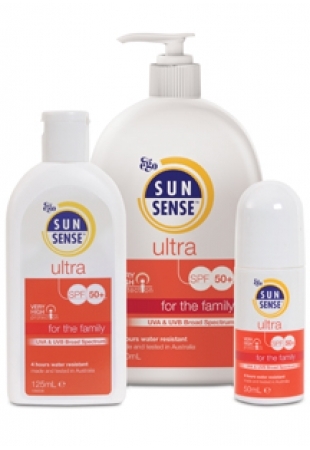 A lotion that several of us in the group use and like is SunSense Ultra SPF 50+. This is an Australian sun lotion that is light, non-greasy (doesn’t contain lanolin) and is easy to apply. It’s also available as a roll on. It can also be bought over the counter. If you’re taking steroids then you may have been prescribed a calcium supplement to protect your bones. Some people find that these calcium supplements can be a bit chalky and hard to swallow. Calfovit D3 comes in a sachet form, so can be dissolved in a drink. This can make it much easier to take when it’s dissolved in a glass of orange juice. This is only available on prescription and you should see you’re GP for advice. If you suffer from the typical lupus rash and would like to disguise it a little, then green makeup can help. Boots do one in their No. 7 range called Colour Calming Primer for about £10.00 and a green Corrector Stick in their Natural Collection for £2, Clinique also do one called Redness Solutions SPF 15 for £23. Lupus can sometimes cause dry skin. Epaderm cream is available on prescription and a few of us have tried it and like it. Aveeno (also available on prescription) is another cream for dry skin conditions. This doesn’t contain lanolin, but is based on oatmeal and other natural ingredients instead. This was recommended by a dermatologist I like it because its less greasy than some others. Both are also available over the counter.